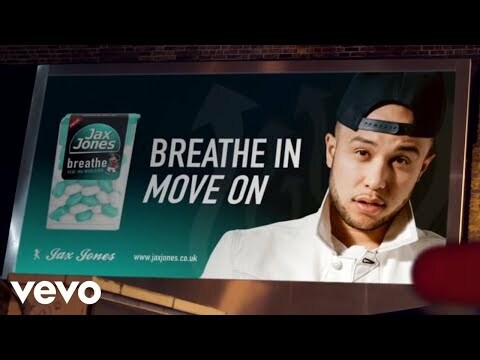 When Timucin Lam — Timz to his mates — chose the pseudonym Jax Jones, it was supposed to be a rhyming-slang inspired celebration of independence: his old band had just imploded, and he wanted to see if he could make it on his Jack Jones. It all started at the back end of 90s in south London where Jax — then just 11 — started Saturday morning guitar lessons; he’d go to the local community centre in Brockley for government-funded sessions. Jax found himself subjected to a lot of Stairway To Heaven, but within a few years his ears had drifted in the direction of Craig David’s earliest releases. Later he’d take songwriting classes a couple of bus rides away in Camberwell, where he met gospel singers whose influence mixed well with the music Jax had grown up hearing around the house: bashment, Fela Kuti, BB King, R&B and dancehall. By his late teens Jax found himself being offered the chance of a place at Oxford (“it wasn’t me — when I went for my interview I felt like the Fresh Prince when he visits Princeton”), and opted instead for a uni in north London. At night he’d make the journey down to Brixton, where he had a job making beats for local artists into the early hours with Ms Dynamite producer Ripperman. “I learned to be disciplined and focused,” is how he remembers that period, but that focus was in the direction of his music — he didn’t attend a single uni lecture and got kicked out. Meanwhile, in Brixton, things were kicking off. Jax’s production crew ended up being caught in the middle of gang wars, and he was robbed at gunpoint more than once; another time Big Narstie had to step in and close a particularly aggressive beef. To this day Jax reckons he owes Narstie his life. But slowly, Jax’s musical career was starting to take shape. He’d make beats late at night, and in the days and evenings he’d work as a session guitarist for acts like Duffy and N-Dubz. At weekends, you’d even find him performing at churches. Slowly he was also assembling his own music equipment: everything was a hand-me-down, he says, apart from some old second-hand stuff, like the G3 Mac he picked up on Gumtree for ninety quid. It’s worth noting that at this point he was also living in a mate’s garage — “it was a box, but it was my box” — along with an uninvited rat whom Jax named Ben. It all adds up to a compellingly idiosyncratic approach to pop music, underpinned by a belief that pop — and house, and every other sort of music — is at its best when the rules are bent slightly out of shape. Jax adds that it was only when he went to LA on a songwriting mission that he realised just how distinctive his songwriting had become: peppered with London slang and pop culture references that didn’t always make sense to other writers who just wanted their songs to hit as many demographics as possible, but whose uncommonness seems to have been resonating well with Jax’s own fans. Live photos by Chazz Adnitt and Rob Stainforth.